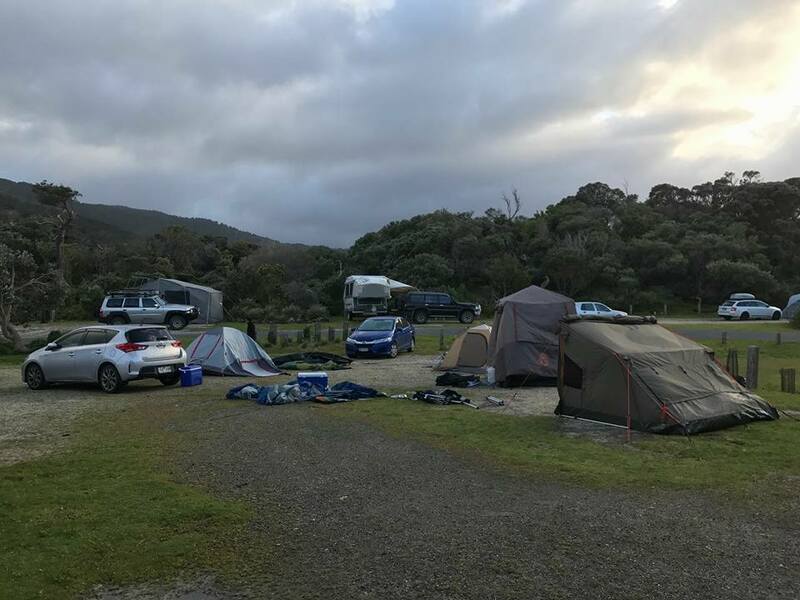 While everyone was at home glued to their screen preparing for the AFL grand final, what did the kitties do – CAMPING! 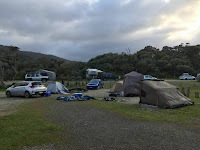 We planned to rough it for 3 days in Wilson’s Prom just getting away from the busy city was what we needed but what was camping without a little wind? Started the journey around 9am and everyone was excited. Some stopped for breakfast and some even for quick toilet breaks. Looking out the window and noticed the clouds looked like painting – it was definitely a good day for camping. The sign said – WELCOME TO WILSON’S PROM but it was roughly another 30 minutes drive to Tidal River (located in the Wilsons Promontory region). Once we reached the site, it was clear that everyone was eager to explore the grounds so we worked together to set up everyone’s tents. 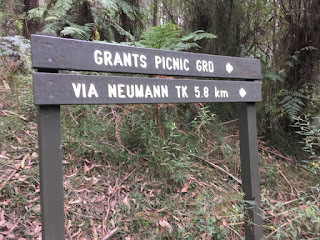 We spotted wombats waddling around the campsite. Around 4pm, some of us decided to go head down for a stroll by the beach and of course photo time! Once everyone was settled in, we prepared dinner. The smell of delicious meals such as Hokkien mee, steak, herbal chicken soup, vegan ‘chicken’ patties, herb sausages, spaghetti and much more filled the air. We then decided to turn in for some shuteye, already excited about the activities for the following day. We’d planned for a long hike, lunch and maybe more hikes. 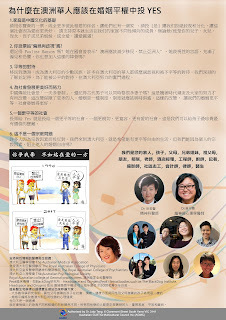 10PM – heard screaming and realized our tents were shaking rapidly due to the strong wind. Checked on the Weather App – Wind: WNW 37km/h with 30% chance of rain. We felt the walls of our tents ‘slapping’ our faces and the wind kept getting stronger. Some described it as ‘caressing’ their faces – haha. We kept heading out checking if the poles and pegs were secured. One of us noticed something was scavenging around the eskies and yelled ‘WOMBATS!!!’. They got out and started chasing that poor little fellow around the campsite WHILE the wind battered our campsite! – No wombats were hurt during this session. A park ranger stopped by to check on us due to the strong winds. 2:30AM – Wind increased to 45km/h with hail! Not sure if any of us even slept but some abandoned their tents and decided to ‘camp’ in their cars instead. It was bright but it was STILL windy. 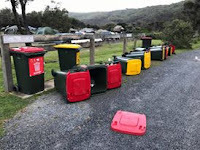 Just look at out tents – the aftermath of last night’s wind and hail. 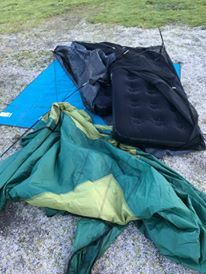 We heard an alert that there will be strong winds with hail so we decided to pack up plus as some tent was ruin and some was flooded. Once packed, we decided to head off for breakfast, as clearly we couldn’t cook any. We headed to town and stumbled upon a little café called Max – named after the owner’s pooch Max, the golden retriever. He was such a sweetheart. The owner of the café was humble and nice. Tummies full and several cups of coffee later we shared our stories from across the table and the café was filled with our laughter. 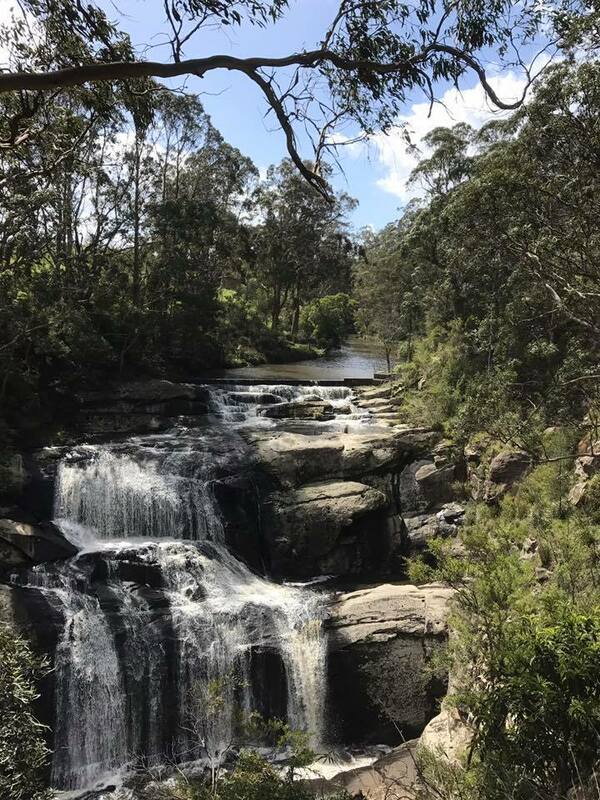 We then decided for a drive to Agnes Falls and once reached it was only about 10 min hike to the falls but we wished we could have stood closer to the waterfall – it was beautiful. 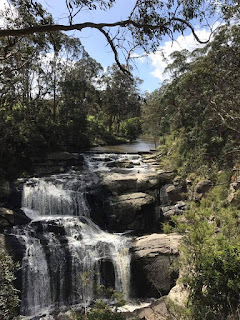 We headed to Rainbow Park – Inverloch at Bass Coast where they had a BBQ area. It was still chilly but nothing could stop us from a good BBQ. After lunch, we said our goodbyes and went our separate ways. We hope to do this all over again - minus the tent-thrashing wind of course. We are all looking forward for the next camping trip. Even though some might say ‘oh why did you go on a day with bad weather?’ or ‘too bad you didn’t have fun’, as far as we know we had FUN! No camping trip is ever the same and this trip is definitely one we won’t forget. It was the first camping trip for many of us so there was a lot to learn along the way, but that’s what Yellowkitties is about - Learning, sharing stories and laughs with new friends.